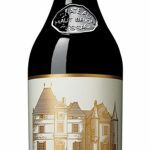 Pessac-Leognan, Château Carbonnieux 2015 is a blend of 52% Cabernet Sauvignon, 40% Merlot and 8% Petit Verdot matured in 30% new barrels for 15-18 months. It has a surprisingly high-toned and opulent bouquet, with kirsch and orange sorbet infusing the cassis and raspberry fruit. The palate is sweet and generous in style, harmonious in the mouth, with the structure only becoming apparent as it wends its way to the finish. 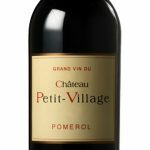 Perhaps it just cuts away a little swiftly, but otherwise this remains a very well-crafted and highly enjoyable Pessac-Léognan. A very tannic young wine with lots of extract. Full body, chewy and rich. Needs careful barrel maturation. Could be the best red ever from here. Traditional style. 2015, The magic of “5”. Bordeaux remembers the mythical 1945, 55, 75 or more recently 85, 95 and 2005. A perfect weather along the vegetative cycle allows 2015 to follow the ten-year legend for the marvellous vintages produced in years ending in “5″.